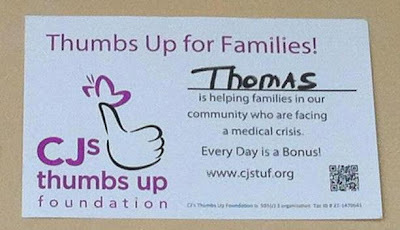 CJ's Thumbs Up Foundation: Thumbs Up Campaign: Who Will Win? Thumbs Up Campaign: Who Will Win? The Thumbs Up Campaign is still going strong at many local Ashland businesses. Have you seen the logo in some neighborhood storefronts lately? Local Ashland businesses have volunteered to support the Thumbs Up Campaign. 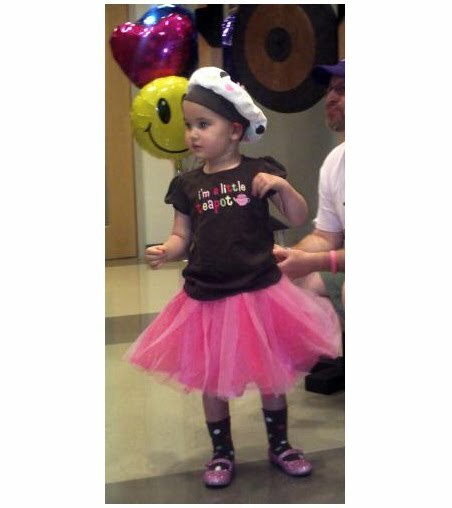 Add a $1 (or more) donation to each transaction and 100% of the proceeds will benefit CJSTUF. Each donor gets their name on a card which will be posted prominently in the business. 100% of the proceeds will go to CJSTUF's programs, providing financial assistance to families in need. The business that sells the most cards will win a team-building workshop from Comedy Sportz Improv Theater valued at $1500! The Thumbs Up Campaign will be going on through May 31st.